Gold sponsorship offers 3 event tickets and company's logo on all subsequent promotional material. Logos will be on website and social media. Silver sponsorship comes with one ticket to event and logo on all promotions. Company's logo will also be featured on website and social media. 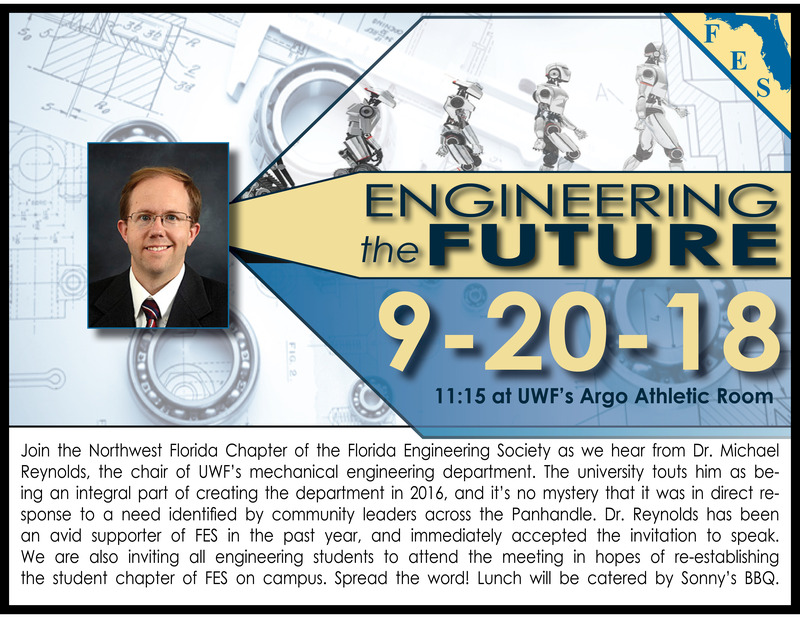 UWF Engineering students may register for free. Please bring your student ID.